This morning I’m going to see some farmland, and I am very excited about it! (So excited that I coudn’t sleep and am posting this instead.) I am trying not to get my hopes up too much. Every time I hear about new farmland available, I try to manage my expectations, but this land looks incredible and I’m really hoping it’s a good fit. Why am I so excited about this land in particular? A lot of it is because of the soil. It’s been in pasture for a while, but based on the web soil survey data, it is ideal for crop production including high organic matter and 46% loam!! Wow! Loam is the ideal growing material because it is the perfect mixture of sand, silt, and clay for plants to be able to grow roots really deep while still holding water and nutrients well. Loamy soil is pretty hard to come by here, since we tend to have a lot of clay, so finding land with this much loam is pretty much a unicorn. Some of the downsides I noticed in the soil survey include having a low pH like most Western Washington soil, but that can be amended. 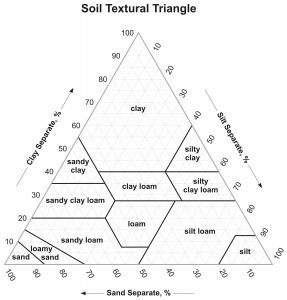 The USDA textural triangle shows the different soil types. Loam is the perfect mix of sand, soil, and clay for growing. Another reason I am excited about it is because it has irrigation available. With this type of soil, it will require more irrigation than I am used to, since a lot of land is heavy on clay. But the farm has two wells, which is good news for me! So many parcels of farmland have been divided up, and water rights have been forefeit as a result, meaning that properties are on city water that has to be paid for (or no water at all). If you have an agricultural well and water rights, you can use a good bit of water for free, and irrigation is a must here. So, having a well is a great sign on the irrigation front. In addition, this farm is closer to my house than anything else I have looked at, and the commute does not go through downtown Seattle. This means that commuting there will be a breeze and I’ll get more time on the farm and less time in the car. 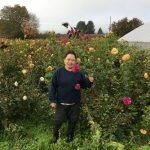 There are so many formerly agricultural pieces of property that have been carved up for development, especially in proximity to Seattle, so finding something close has been basically impossible. Now can y’all see why I am so excited?!? If y’all could see my farm checklist you’d probably be astonished at all the stars that must align. You have to have the right soil, water, wind, sun, nutrients, infrastructure (or ability to create infrastructure), and proximity to market. When renting land, you also have to ask about things like water rights, whether deer and elk like to pop in for a snack, and whether there is a bathroom! I also have to make sure my goals and plans align with the property owner and other tenant farmers. 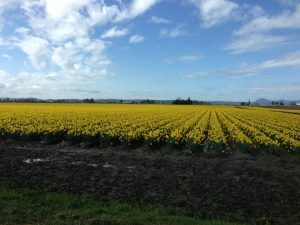 There are so many important things to make sure I get right before I commit to farmland. So, I’m trying to not get too excited. It may be great soil but might have other limitations that I don’t know about yet. At any rate, I’m looking forward to getting my hands in the soil and asking the owners LOADS of questions! Wish me luck! 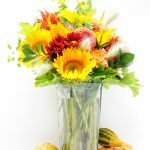 Previous Previous post: Happy Fall, Y’all!